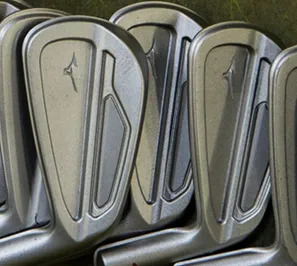 Titanium, and the heavier tungsten, are used to increase the stability and MOI on a compact, player’s Iron. However, the short Irons have no Tungsten toe weight. That means that they remain highly workable with the maximum ball striking control. and the MP-18 SC Irons into your fully customised set.